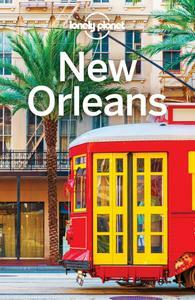 Lonely Planet New Orleans (Travel Guide), 8th Edition is your passport to the most relevant, up-to-date advice on what to see and skip, and what hidden discoveries await you. Take the St Charles streetcar past grand homes and enormous oaks, catch some jazz on Frenchmen St and search out po’boy perfection – all with your trusted travel companion. Get to the heart of New Orleans and begin your journey now!